In a classroom, there are different personalities of people who have to coexist effectively. As a result, they depict different attitudes to different things in the classroom. These attitudes determine what their needs are going to be and how important it is for you to meet them. Not relating with the needs of these students may cause the purpose of the classroom to come to nothing. These sets of personalities are the introverts and extroverts. You may sometimes not sufficiently satisfy the requirements of extroverts in your class. This is essentially because any session dedicated to silent studying, quiet study rooms, class tests, inhibits any mode of communication that includes IM, note-writing, texting, and others. All these modes of learning do not fall into place with most people who are extroverts for the most of the day. Professionals from Bestessay.com make us understand that the school system is already wired in favor of the extroverts as opposed to the introverts. Going to class every blessed day of each week is an extrovert-based activity already. By infusing the little extra periods available to students with activities of social interactions, the needs of the introverts are often shunned. Getting down to the sociology of this, researchers have pinpointed out that one major difference between extroverts and introverts is that; as introverts get life and energy from inner rumination, reflections and thought processes in secluded areas, nearly each and every extrovert get energy from a mix of social interactions and joints. Very different! 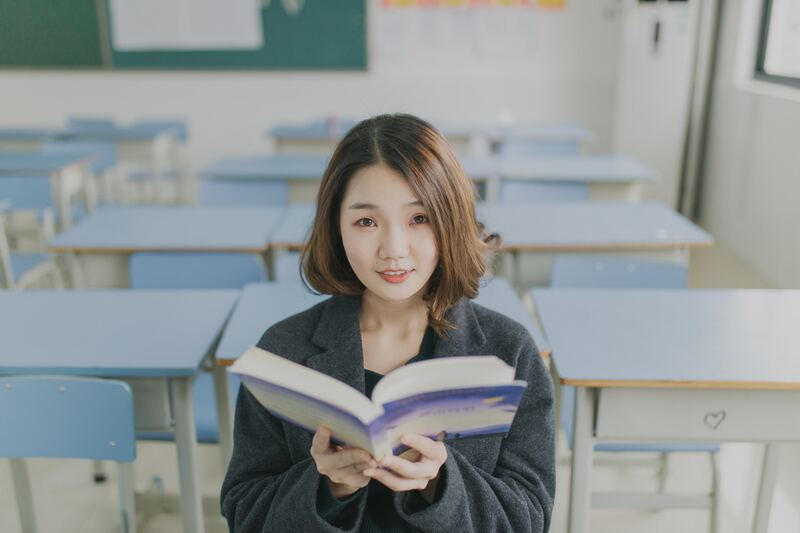 An introvert may prefer never even to come to class and do their studying in the personal room or a quiet library than joining others to learn. This is not so for extroverts, they appreciate the coming together of people to jointly achieve effective studying. In fact, without ever being bias, you may discover that those who turn out some of the best essays available are often those who do critical, in-depth personal research. Therefore, the moment a class emphasizes group work, focuses on discussion exercises, peer feedback, and some other forms of learning that bring the folks together with the introverts, the extroverts may turn out to benefit as they accumulate great energy and joy from the activity. The introverts on the other hand see themselves continuously drained as they are scarcely able to tolerate those social learning modes. Again, when the thrust of a learning mode is that students are expected to do personal research and quiet reflection, the game changes in favor of the introverts. But never for the extroverts! Why? They find it boring and may lose focus and interest halfway. The introverts tend to really flourish and blossom while their extrovert counterparts struggle hard to get basic results as they get easily wearied, continuously get into problems for speaking, handing on notes and going disruptive. Most of the time, whichever mode of learning you choose for the students in a way affects the students either negatively or positively. However, we can effectively take care of each of them as we ought to. This development basically calls for solutions and suggestions to address those needs. Before we continue it is important for you to appreciate this – you may not be capable of completely satisfying the needs of each of your classroom students. So, it is notably essential for you to ensure that you take care of that perfectionist tendencies. It is not really surprising to find that experts who offer review and editorial services at australianwritings.com are usually introverts. Oftentimes, academic work does not require too much of social interaction as opposed to group work. This is not to de-emphasize the importance of grouping, but sometimes it is about getting things balanced so that introverts too would not be drained too much. As much as it is possible endeavor to present to the students, the mode of learning that satisfies them the most. It may be working together as group members or individual assignments and projects in line with their career objectives. It is not all the time that introverts too do not want to be in a social environment or it is never all the time that extroverts may not want to do their thing alone. At times, each category of personality experiences a switch in interests. However, the more you permit students to work in the way that best attracts, inspires, engages, and upholds them, the greater the likelihood that they are going to put in the best of their efforts and get optimum results. Here are some tips on how you can strike balance in the classroom. It is often convenient to assume that classroom members raise their hands and volunteer to provide answers in classrooms, or the students who dominate little discussion groups, are more occupied than the students who love doing theirs quietly. Oftentimes, that is not the situation of things. Tami Isaacs, a researcher, once noted that extroverts tend to process and relate information promptly, making use of their immediate memories. Introverts on the other hand appear to utilize information that they store in longstanding memory with a view to make stronger connections. Before anyone concludes, try to get this: the real way things work is such that none of the methods related above is desirable. The article we just looked into now reveals to us that when you ask a question in class, an extrovert would usually get a prompt response and form ideas relying on social activity, an introvert on the other hand, often take some time to ruminate and get a response depending on inner processes. In a boisterous class, the discussions do not usually elate the introverts and they do not appear to be enthusiastic and sociable. These views may not present a total picture of the students, most times. The introvert is often so full of activity trying to reflect on the thoughts, that it does not happen to him to decide to respond to questions. This is the reason you need to renew your mindset and think again about the manner in which you consider class participation. When you participate, after all, it is not always about spouting off. It is about presenting yourself, going to the class in a way that shows you are ready, listening, taking care of assignments as and when due, putting forward written comments on the works of other students, being considerate, doing revisions, and doing the best one can. All these introverts can do without complaining most of the times. As much as it is practicable, endeavor to offer students an opportunity to make themselves ready for discussions in class by ensuring you circulate some question lists or problems before you decide to collectively consider them in class. This help students, whether introvert or extrovert, to plan ahead and be at their best during class sessions. Technology devices which allow millennials to get in on discussions in this digital age are available during and after each discussion, and they can offer the students an opportunity to pass comments in the digital environment which may be more convenient for the students. This is not to even highlight the effectiveness in the case their ideas come up due to thought processes after discussion. One of those well-known programs you can opt for is the Collaborize Classroom. Until another person contributes, you may not allow another speaker in class. If that appears to be rather challenging, you can limit the number of those who are going to speak to about two or three people before you hear out others. This is to give room for the in-depth introvert to recognize his contributions are as well important as those who are passionate at contributing in class. The moment you ask a question you hope would enhance class discussion, try and institute some seconds of silence. Ensure to tell students you want to ask them questions. However, you would love it if they could reflect before they answer the questions. Try to put some timer and ensure they wait for a few minutes so that they can think deeply prior to giving answers. As much as it is possible, try to be strategic with the sitting arrangement you provide in class. This is to basically enhance independent work and collaboration and offer all the students the same opportunity to opt for the spaces which work the most for each of them from time to time. Whichever case, most of the classroom folks are not totally introverts or extroverts. Many possess bits of both, and our needs can alter according to the situation of things or the assignment you have at hand. In the event that you have the flexibility to alter the layout of your room, try to structure a number of desks in collections and some others personally. Attempt to find out if you can set up a silent corner or some special discussion exercise area, just by laying out medium-sized shelves perpendicular to the walls close to a corner in a manner which creates a space which is to an extent unlinked to the remainder students in class. A single person can make use of this area, a group can or few persons who decide to do something while the remaining persons in class do some individual work. The moment you put these hints in place, you can then begin to enjoy equity in the class. The class becomes really participatory. The ways in which you can facilitate a great classroom environment for introvert and extrovert students alike are not limited to this. You may still decide to check out for more from resource persons who have reeled out some more strategies to make your classroom better. This hint is more necessary when the students are even younger. Separate some half-hours where the students just read and study. This is where the area designed in class comes to relevance or at best some library where students just study. Ensure the manner in which the classroom is created supports corners that are useful for those who want to have some separate time for themselves. You understand that sometimes, students seek assignment writing service to deliver their work against time. This often happens the moment they discover that they are exasperated and fatigue tends to completely overwhelm them. Try to get an open classroom and allow students to sit and play games, study books, or just chill around. This is important for students to just refresh themselves as they do away with the people who extremely stimulate them most of the time. When you do not practice this, you easily bore some of them. This is the reason most of them buying essay from time to time – there is usually little time to do individual research. When you become aware of their needs, it gives you tips on how best you can approach each category of personality, introvert or extrovert. It is simply about striking a balance that takes account of all equal opportunities and challenges of each category so that they may feel considered, welcome and successfully attain their learning potentials. Tiffany Harper is a talented writer from New York, an extremely active woman, and a real leader. She began her career as a journalist and later proceeded it as an educational writer and editor. Now she works as an expert writer, mostly in the technology digital marketing area. Please do not hesitate to contact her on Twitter. Can you be an Introvert and Confident too?